LaxCamps.org and Bill Pilat's Lacrosse Camps have been offering instruction and development for lacrosse players since 1990. Bill Pilat's Lacrosse Camps' recent partnership with US Sports Camps Inc., the operators of the Nike Sports Camps, ensures that Pilat's unique programming will continue to grow around the country and improve even more lacrosse players. Camps and events are managed by college coaches, athletes and other highly experienced lacrosse enthusiasts and teachers of the game. Campers are grouped by age, ability and size for teaching purposes but the camps are very individual in nature, with much instruction given individually or in very small groups. Over 25 years of fine-tuned lacrosse camp programming with 100s of athletes attending our camps and improving their game. 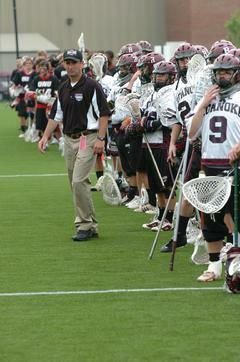 Coach Pilat has been the head lacrosse coach at Division III power Roanoke College since 1989. He is the winningest coach in the history of Roanoke Lacrosse and runs some of the most popular and successful lacrosse camps in the country. Coach Pilat is a former 3 Time All American Goalie at Roanoke College and has been inducted into the Roanoke College Athletic Hall of Fame and the NJ Chapter of US Lacrosse Hall of Fame. Coach Pilat has led his Roanoke teams to over 300 victories and a trip to the NCAA Championship game in 1992. He has produced over 90 College All Americans and has been selected as Conference Coach of the Year a record 9 times! His 2005 and 2006 teams at Roanoke had a combined record of 30 wins and 6 losses and ended the season ranked in the top 3 in Division III. The 2009 Roanoke team was ranked #1 in Division III for 3 weeks in April! The 2010 Roanoke team finished with a record of 18 wins to only 3 losses and another top 5 ranking in the Nation! In 2011, Coach Pilat's Maroons earned another trip to the Division III Final Four in the NCAA Tournament! It was Coach Pilat's 4th time taking his team to the Final Four.